Australian counter-terrorism police raid the NSW home of Brenton Tarrant's mother's boyfriend. Australian police have raided the NSW homes of the alleged Christchurch gunman’s sister and his mother’s boyfriend. Counter-terrorism police are currently at the home of Brenton Tarrant’s sister in Sandy Beach, near Coffs Harbour on the NSW north coast. There is a heavy police presence at the house, Nine News reports. His mother and sister are at the properties and are assisting police with their inquiries. Police raided the home about 8.30am local time (10.30am NZT) on Monday, and shortly after executed a search warrant at a home in Lawrence. The second house in the police raids this morning belongs to the boyfriend of alleged gunman Brenton Tarrant’s mother, Nine News reports. 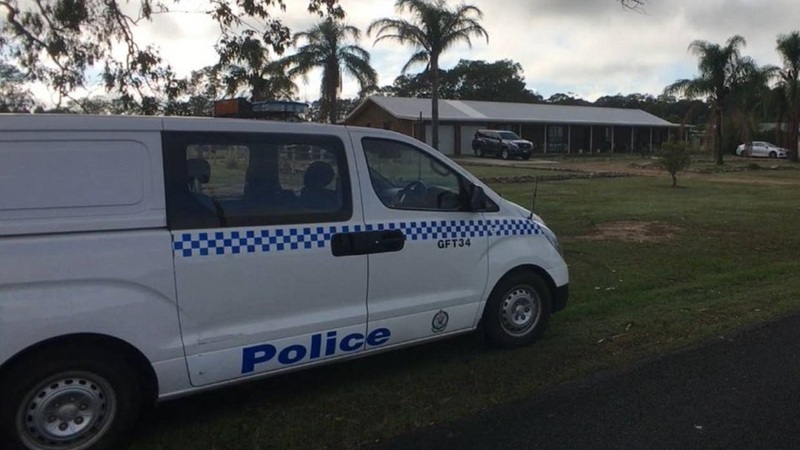 The home, in northern NSW, was searched by the NSW joint counter-terrorism team on Monday morning, shortly after the home of Tarrant’s sister was searched at Sandy Beach near Coffs Harbour. In a statement, police said the aim of the search was to formally obtain material that could help New Zealand Police. The NSW joint counter-terrorism team includes officers from the Australian Federal Police, NSW Police Force, ASIO and the NSW Crime Commission. Police have urged anyone with information to contact the National Security Hotline. NSW Police said there was no information to suggest there was an impending threat to the community related to those searches. Tarrant’s family has been assisting police with their inquiries. Nine reporter Rob Morrison said police are currently “inside Brenton Tarrant’s mother’s boyfriend’s house”. “We understand that this is one of two search warrants which have been executed,” he said. “We do understand that Brenton Tarrant’s mother and sister are co-operating with police and helping with the searches.